Welcome to the April edition of IN YOUR VICINITY. The mornings’ are getting lighter and going home from work in daylight is a nice feeling, we have been able to even get onto some gardening chores, the winter weather wasn’t too bad and we can’t really have any complaints, it was probably the direst, warmest for many years, despite the recent storms. As I am writing this article we are still no nearer to knowing what Brexit holds for us or even when the next set of traffic lights will pop up creating more delays, the local traffic issues seem to be the topic of every conversation. The month of April in recent years has been seen as the first stop of holidays, with many people taking the opportunity of the first real break since Christmas to book some time away from work or going away into the sunshine. Children are away from school for over two weeks and for working parents the issue of finding someone to look after them and keeping them away from being bored is difficult. The football season and rugby season start reaching the nitty gritty of teams keeping their nerve and winning championships, Six Nations ended with a great finale of Wales winning the title and England experiencing one of the most exciting international matches ever in their 38-38 draw with Scotland. This month also sees the first Golf Major competition with the US Masters, and on Saturday April 6th we have the nations’ favourite race – the Grand National from Aintree – Tiger Roll looks in very good form but is likely to start a short favourite to win it again, a lively outsider I will go for Bristol De Mai. Restaurants; Entertainment; Leisure; Garages; Café’s; Butchers; Gift Shops; Health and Beauty; Taxi and Mini Bus companies. Reaching over 120,000 readers and our publication has been produced monthly for 14 years. Many readers find this very rewarding is finding business and services. 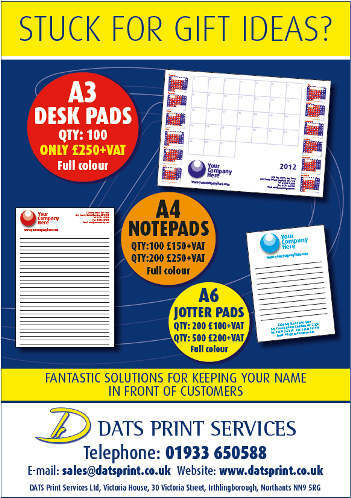 Prices are very competitive and can be from as little as a £1 per day! 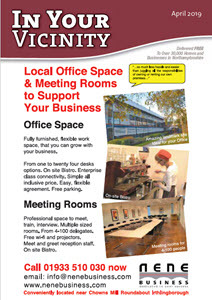 Contact ‘IN YOUR VICINITY’- 01933 650588 to get your BUSINESS noticed and included in the next edition. With a total distribution of over 30,000 – don’t miss out on the fantastic advertising rates currently available; nearly seven years this publication has been in production and helped many businesses with their sales and marketing – go on – give it a go!